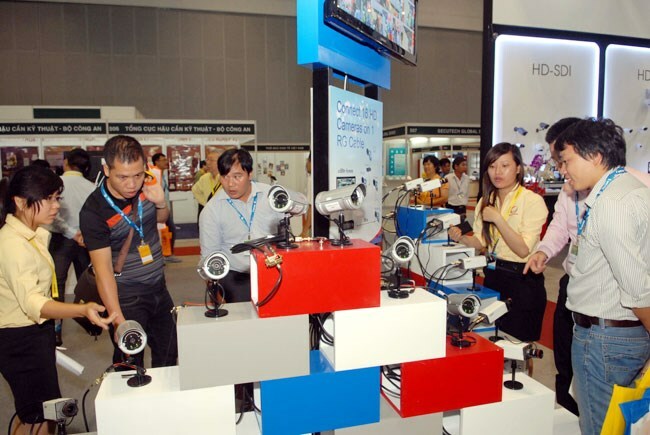 HCM City (VNA) – Secutech Vietnam 2017, the largest professional exhibition and conference on security technology and fire safety and rescue in Vietnam, began in Ho Chi Minh City on August 16. The fair features 460 stalls run by 270 organisations and companies from 18 countries, such as the UK, Australia, India, the RoK, and China. Highlights of products on display include fire extinguisher robots, fire-resistant equipment, and access control systems. On the occasion, Ministry of Public Security officials and experts in Vietnam and abroad will take part in the 19th conference of the Asia Fire Protection Inspection Council.